It only took months of me persuading and having her mother as a pillion, to finally convince Natalia to accept a ride with me. Eventually giving in whilst on holiday in Wales, the perfect opportunity arose. Staying in the middle of the Brecon Beacons National Park, sleeping in a castle for a hotel, surrounded by beautiful landscape and excessive flocks of sheep, we were located in what is probably one of my favourite parts of Great Britain, for motorbike riding. It was my third time in this part of Wales, that year, and I had thoroughly enjoyed every visit. On this particular occasion, Natalia had organised a 4-hour horse riding trip in the morning, so before meeting at the hotel to commence our joint experience, I decided to post on The BMW Club Facebook Page, hoping for a local to act as the perfect tour guide and recommend new spots to explore- I was in luck. 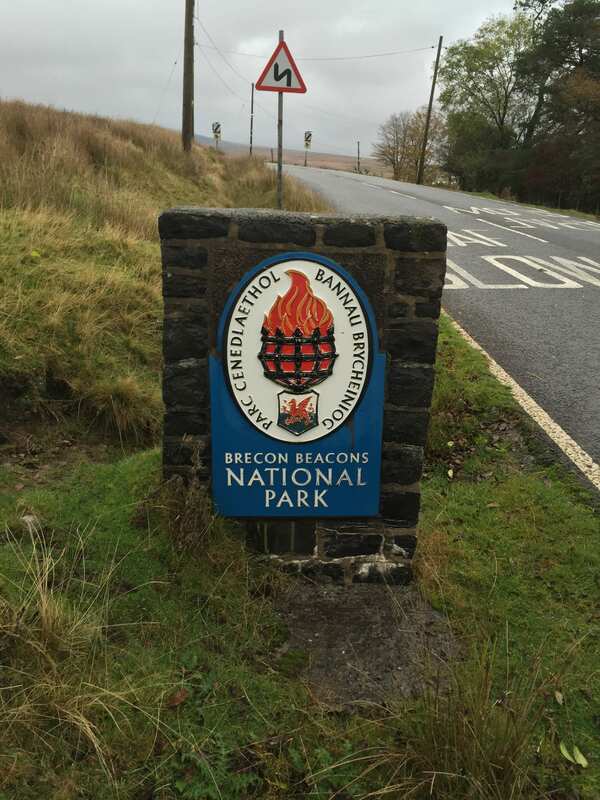 Confidently we charged through the Brecon Beacons, swinging around each bend in the roads, discovering the continuous secrets of the National Park, as it offered glimpses of new roads, new cafes and better scenery. I returned to the hotel to plan where I was going to take Natalia. But then it dawned on me. I was nervous. What if she did not like the experience, that rushing feeling that travels around your body as the speedometer creeps up and the wheels lean closer to the road? I needed this ride to be perfect. I needed to show her why I love this object so much. An object which has allowed me to travel, be mobile, meet incredible people, see the world, which enlightens my senses- an object which has become such an integral part of who I am. The more I planned the more frustrated and nervous I became. I really wanted this girl to enjoy the thrill as much as me. I kept telling myself that she would – after all she loves the outdoors, horse riding, she loves driving and being on the road, hell she even likes travelling – surely she was going to like this. But with months of failing to convince her to get on the back and knowing her fear and concerns about the bike, the pressure was getting to me. I sat there for two hours “preparing” a route. One which ranged in scenery, speed and gave an overall insight into what my beast could do. But it felt rushed, improvised and unsatisfactory. Thinking about every single mile we were going to cover over and over again had not helped to remove the stress that had formulated in my mind. Why was I so anxious? Suddenly I found myself imaging and visualising the route; first we would commence on a straight easy road until she got used to the bike, then some scenery, perhaps some open bends… I was hunting down things that could go wrong, pinpointing the needle in the haystack, the things to avoid, the things which would make her never want to try again. Time was up! We headed down to meet the GS. As always she was expecting us, anticipating the ride, always ready to enjoy the road. I turned to Natalia, resembling the complete opposite, I could tell she was a little reluctant, fearful perhaps. She thinks she’s able to hide these emotions, the fear in her expressions the nerves in her body language, but the truth is, that you have to get to know her to see the bleeding obvious. After the appropriate introductions, I gave Natalia a brief explanation on how to get on the bike. Being very similar to mounting a horse, she picked it up straight away. Gently climbing up, avoiding the panniers and even the top box, she gracefully placed herself behind me- “she will be a good pillion”, I thought to myself. I started up the bike, engaged first gear and softly come out of the car park – we were off. This was it. The road is straight, the view beautiful and the traffic almost inexistent. I place my left hand on her leg, a hand of reassurance, to tell her it is going to be okay. I start talking to her through the Bluetooth headset. I explain where we are and where we are going, the bends to come and why we go from side to side in our lane. I attempt to engage in conversation, making sure she is fine at the back. There is no reply but I feel her legs putting pressure on my sides. She is tense. I can tell. She replies, a quiet, distant “fine”. But I do not stop, I want her to truly engage with the motorbike to gather every sensation. Little by little I open the throttle. There is no complaint. Suddenly, she engages in conversation, loosens her grip, and observes her surroundings. Breathing in every inch of what engulfs us, the mountains, the flowers and the road, she begins to relax. I begin to enjoy the route as the tension in my body gets left behind, unable to keep up with the pace of the bike- yet at no moment am I forgetful of my first-time pillion. After approximately 30 minutes we reached the West End Café in Llandovery. Every time I come to Wales, I visit this little place. Full of bikers and providing me with some of the best shortbread I have come across, I felt it the perfect place to welcome my pillion to the motorbike world. After a short break, we resumed our journey and upon request returned to the hotel, the longer way, up over the Brecon Beacons, using the A4069 towards Lower Brynamman. Lying in bed, exhausted after her first time, she turned to me and asked “how about I return to London with you on the bike rather than in the car with my parents?” I smiled. You can find Natalia’s first route on a bike here.